When you play outdoors with your mates, you need the best outdoor basketball shoes to get the right grip, comfort, and support you can. While indoor and outdoor shoes may look the same, they are vastly different in their construction, weight, and style. Indoor basketball is played on smooth, polished floors in a controlled environment, go to our review on Basketball Shoes for indoor play. 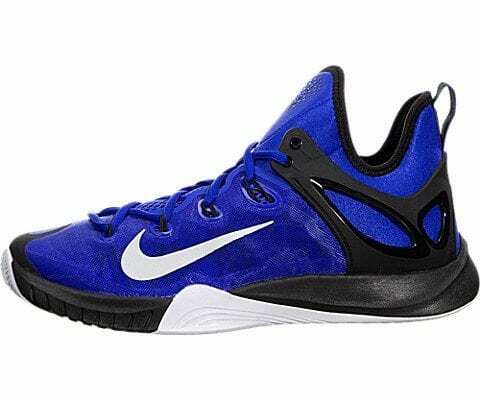 View the Best Basketball Shoes for Outdoor, Below. How to Choose Good Outdoor Basketball Shoes? What are the Benefits of Buying Outdoor Basketball Shoes? What is the most Comfortable Outdoor Basketball Shoes? What to look for when Buying an Outdoor Basketball Shoe? Perhaps you play volleyball instead? Find a great pair of volleyball shoes here. Outdoor shoes have to cope with rougher, harder surfaces and have to be designed to compensate for the terrain you are playing on. 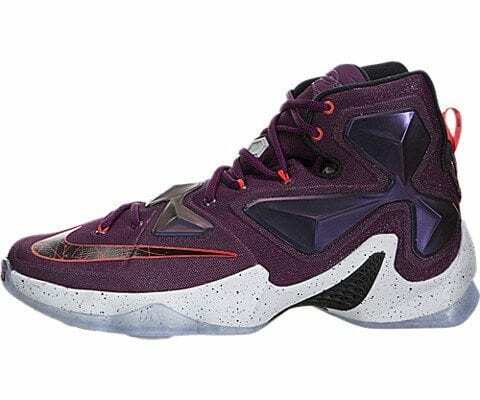 If you are looking for basketball shoes that will offer you the best in comfort, style, and performance, then you need to take a closer look at the Nike Men's Lebron Soldier IX. These outdoor basketball shoes offer you lunarlon cushioning which ensures that your foot gets a soft and bouncy ride while playing, absorbing the shocks as you weave your way around the hard court. These basketball shoes are lightweight so will not weigh you down. Offering a full inner sleeve which wraps your foot in comfort and the wedged carrier foam supports your ankle to limit pronation. The synthetic mesh and nylon upper is flexible and will move with your foot, it is also extremely breathable and will keep your foot cool and dry during the game. The shaft measures about 3.15” from arch to offer the best ankle support. The heel strap will lock the strap heel into the basketball shoes and is attached to the heel counter and this forms one solid piece with the ankle. The forefoot strap locks the forefoot and midfoot into place. All in all, this is one of the most supportive basketball shoes around. Add to that the rubber sole offers some of the best traction on the market today for outdoor basketball shoes. Superb traction and extraordinary support is what you can expect from one of the best outdoor basketball shoes from Nike. The Lunarlon cushioning along with the heel and forefoot straps ensure that your foot remains comfortable and supported at all times. The full inner sleeve and wedge carrier foam support adds to the support levels. These are outdoor basketball shoes that offer support, comfort and just the right amount of traction to enable you to perform at your best when hitting the outdoor courts. The rubber sole is responsive and flexible and the Zoom L.E.A.P. system will not only give you exceptional propulsion but also excellent responsiveness in the shoe. 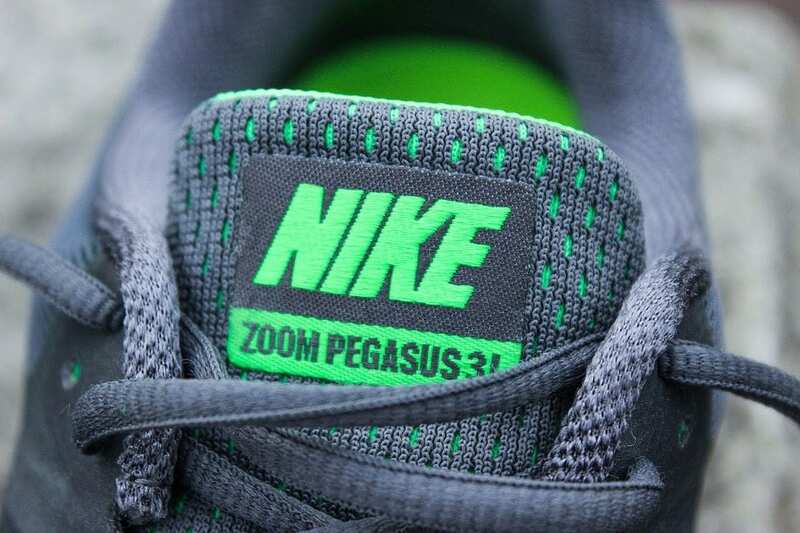 The four independent Zoom Air units provide cushioning in the forefoot. They also make the shoe very flexible and have a low profile. To Zoom Air units that are found under the heel and first met head allow the basketball shoes to offer the best response and are 13mm thick for comfort. The mesh upper on the basketball shoes are both breathable, flexible and durable and will allow for excellent air flow keeping your foot cool and dry at all times. The Flywire cables which extend from the midfoot wrap around your heel to lock it down into the shoe, keeping your foot stable and providing the support you need. These are outdoor basketball shoes that accommodate you in every way. Support and comfort are provided by the Zoom Air units under the heel and forefoot and the Flywire cables lock the foot down for stability. Rubber soles provide excellent traction and the mesh uppers allow for superb airflow keeping your foot dry and cool. 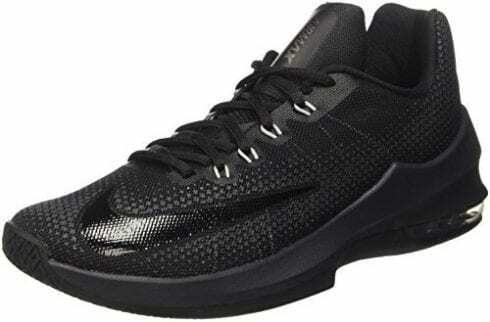 Looking for outdoor basketball shoes that will offer you everything you need in terms of comfort, support and traction at a very competitive price then the Under Armour men’s Ua Clutchfit Drive II are the basketball shoes you have been looking for. The UA ClutchFit technology makes these basketball shoes incredibly lightweight and wraps your foot up a supportive and comfortable zone. The 3D molded tongue will surround your foot and ankle to ensure the best fit and the full-length molded Micro G sockliner ensures your foot stays locked into the basketball shoes for stability. The charged cushioning midsole is shock absorbing and makes the basketball shoe ultra-responsive. Traction is vital when shooting hoops and the multi-directional herringbone outsole will not only give you complete control, it will also, along with the rubber sole ensure you get the absolute best traction on the court to make your moves easily and without fear of slipping, tripping and falling. Well priced and feature packed, the Under Armour Men's UA Clutchfit Drive II offers superb support and comfort combined with ultimate traction and stability. You can be sure that you will be the master of the court with these fantastic outdoor basketball shoes when shooting the hoops with your mates. A striking looking basketball shoe with fantastic features to help you perform at your best on the court when shooting hoops outdoors. The Nike KD8 is produced in honor of the All-Star Game in Toronto, Canada and is part of the Sports Royalty Collection. These are ultra-light shoes that are very supportive and flexible with a flyweave upper that is also breathable. The full-length Nike Zoom Air unit offers low-profile cushioning and the Flywire cables along with the laces lock your foot down to provide superb, dynamic support. For enhanced stability, you get a Phylon midsole that is also lightweight. The rubber sole gives you some of the best traction. The outsole is multi-directional to enhance the traction of the basketball shoes and the look is inspired by the woven upper of the shoes. The best looks and the best performance make this one of the best outdoor basketball shoes on the market for 2019. 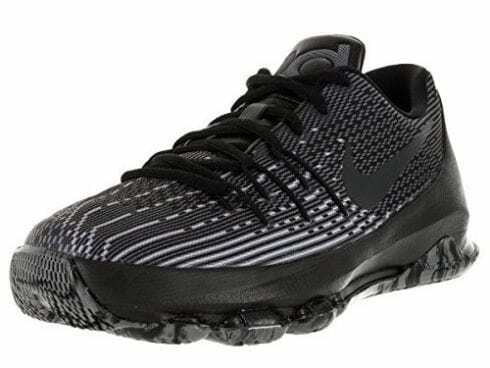 Lightweight, supportive and comfortable with Nike Zoom Air Units, as well as flywire cables and a flyweave upper, these are the hallmarks of the Nike KD8 White/Metallic Silver-Black-Multi-Color, along with superb traction from a multi-directional outsole. In honor of those that made the All Stars Game and part of the Sports Royalty Collection. These outdoor basketball shoes will give you the boost you need to get past the defense and deliver a slam dunk. They are not only one of the best lookers, but will deliver the traction, comfort, and support you require. The boost midsole of these lightweight basketball shoes allows you to move comfortably around the court offering you stability and support. The textile lining and back collar add an extra level of comfort. The shaft of the basketball shoe measures about low-top inches from arch. These basketball shoes also feature a molded TPU eyestay piece and a heel cup. These lock your foot down in the basketball shoe to negate slippage. The rubber sole of these outdoor basketball shoes supplies superb traction allowing you to move around the court quickly while remaining sturdy on your feet. When playing outdoor basketball your shoes are your most important aspect of your kit and the Adidas Performance Men's Crazylight Boost will not let you down. The molded TPU eyestay piece and heel cup along with the boost midsole will let you blow away your opposition with your speed and agility. These are highly responsive outdoor basketball shoes that offers exceptional traction and is extremely lightweight. Comfort, stability, and traction, everything you need in the bets outdoor basketball shoes. This shoe fits like a sock allowing you to move freely with the best flexibility in the foot. The rubber heel cage locks your foot into the basketball shoes and forms part of the lacing system, this means your foot is secure in the basketball shoe and locked onto the footbed. The heel unit has your normal Nike Zoom while the forefoot has a rectangular shaped Zoom for even more protection and comfort. The Dynamic Flywire tighten around your foot so that you can feel the effect of the lockdown, the flywire also takes some of the pressure of the mesh upper. The upper is mesh and extremely durable and lightweight. The rubber sole offers the best traction and combined with all the other features, you are sure to be able to outmaneuver your opponents on the court and score that slam dunk with ease. Another of the Nike outdoor basketball shoes that stand out as a top performer, offering comfort, support, and traction to lift your game on the court. 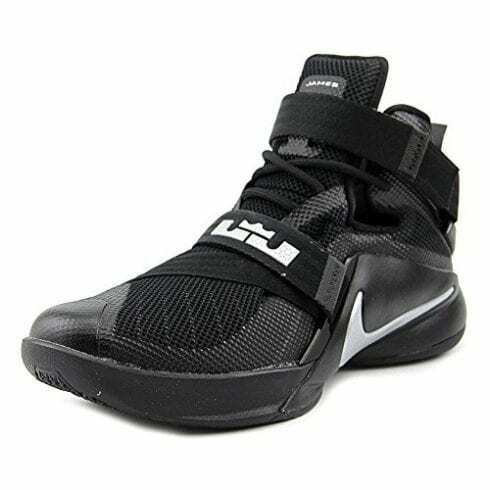 These are the best outdoor basketball shoes that with an exceptionally comfortable fit, the best support for both forefoot and heels and a very good lockdown system to make sure your foot stays locked to the footbed. They are good looking which durable mesh uppers that also allow for good airflow to keep your feet cool and dry. The Adidas offers a the best fit, support and superb comfort to the wearer, these are shoes that are designed to give you stability and flexibility and allow you to move comfortably around the court. The rubber sole offers the best traction and the Puremotion+ adds to the traction, flexibility, and speed of the basketball shoe. The Sprintframe construction is lightweight and highly supportive of your foot, allowing you to move around the court in comfort. A padded collar and Techfit engineering ensure the basketball shoe is ultra-comfortable taking the shock and allowing your foot to rest comfortably in the shoe. The four zones of flex make these are highly flexible basketball shoes and give you that barefoot feeling when wearing them. The Adidas Lillard 2 is an outdoor basketball shoe that provides the most stability to help you to avoid picking up injuries while playing. The upper is mesh which is breathable and flexible and wraps your foot in comfort, the shaft measures around Mid-Top inches from arch. Adidas provides the best outdoor basketball shoes for comfort, style, support, and traction. The techfit engineering, padded collar and four flex zones offer the best comfort, while the Puremotion+ takes care of the traction on the basketball shoes. Lightweight mesh uppers keep your feet cool and dry and add to the durability of the basketball shoe. Built for Derrick Rose’s style of play which is fast and full of energy, these are one of the best outdoor basketball shoes and offer you everything you need to take your game up a notch. The shaft measures around 5.5” from the arch and the high-top basketball shoe with Boost technology not only supports your foot and offers a high energy return. The midsole cage with an integrated EVA midsole keeps your foot locked into place to allow you to move quickly and with the best stability. The sole is synthetic with a non-marking rubber outsole for superb traction. The leather upper and asymmetric collar not only give these basketball shoes a fantastic look, it also adds to the comfort levels and durability of the basketball shoes. 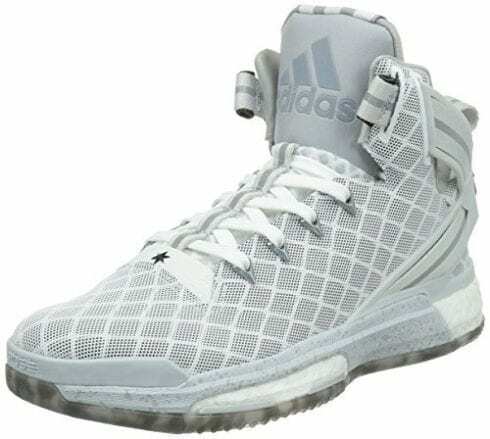 Playing fast and hard just like D-Rose is made easy with these great outdoor basketball shoes from Adidas. Comfort, stability, traction, and style all wrapped into one great shoe to help you take your game to the next level. The key to shooting hoops is to be fast, agile and stable on the court. An integrated EVA midsole and Boost technology, combined with a midsole cage for lockdown provide you with all the comfort and support you need, while the sole and non-marking outsole of the Adidas Performance Men's D Rose 6 Boost provides excellent traction. This outdoor basketball shoe will deliver the best comfort, control, and support and give you the best traction to be able to perform at your best on the court. The mesh and foam upper around the heel adds a level of comfort and the cushioning system with Nike Zoom Air cushioning allows for easy movement and is very responsive. The heel is thicker than your standard heel to compensate for the hard landings on outdoor courts and the forefoot is a little thinner to allow you complete control. The fit of the basketball shoes is sock-like in nature with a Flyknit forefoot. The lace loops have a cage like an effect to lock your foot down to the footbed to allow you to move quickly and smoothly. The traction on the basketball shoe is a step above with a rubber outsole that wraps up the sides to give you added stability and a multi-directional tread pattern which is best for any surface and adds to the durability of the shoes. 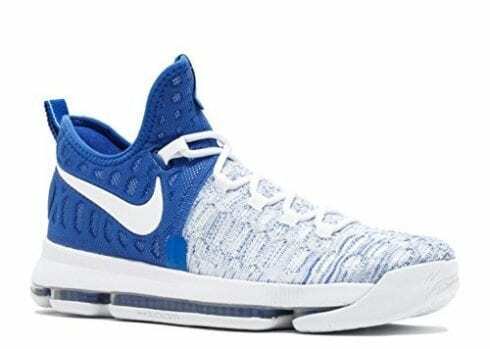 As we have come to expect from Nike the Nike Men's Zoom KD 9 provides you with the best comfort, support, stability and flexibility with the Nike Zoom Air cushioning, Flyknit forefoot and lace loops. Traction from the multi-directional tread pattern provides the best grip on any surface. Altogether one of the best outdoor basketball shoes for 2017. Air Jordan is the ultimate in basketball shoes whether for indoor or outdoor play and this Chris Paul is no exception to the rule. 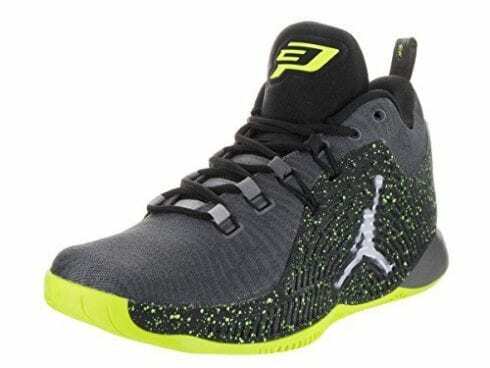 This basketball shoe matches CP’s play and the CP3 is designed to be fast, stable and flexible. The one-piece woven upper is both lightweight and durable. It allows for the best airflow through the basketball shoes to keep your foot cool and dry. The memory foam in the collar of these basketball shoes enhance the comfort level of the shoes. The flywire cables integrate with the laces for great lockdown support keeping your foot stable and supported all the time. The 9 chamber Zoom Air unit is designed to cushion your foot and is low-profile and very responsive. The outdoor basketball shoe offers a great traction pattern on the rubber sole to be able to cope with any surface. The signature design of Paul’s family’s zodiac signs are designed into the TPU cage and the traction pattern as well. You know you are getting quality when you purchase a Nike Air Jordan, and no matter if you are playing indoor or outdoor basketball, you get the support, comfort, stability, flexibility, breathability and the best traction that you need to lift your game and let you perform at your absolute best when hitting the courts. Nike does it again, producing one of the best basketball shoes on the market for 2019. Designed to cope with the rigors of playing outdoor basketball it is breathable and extremely comfortable. The synthetic leather upper provides you with ankle support as well as the best comfort and cushioning as well as being extremely durable. The padded collar and tongue add to the comfort, the Nike is designed to offer you great ankle support for when playing on uneven outdoor courts. Flywire cables will lockdown your feet to the footbed and ensure that you get the best fit for these basketball shoes. The high cut u-throat base is designed to offer stability and spread the force over the entire sole on impact. The Phylon midsole and Max Air Unit will also cushion impact and make the shoe highly responsive. The traction offered is second to none with a herringbone traction pattern which is designed to give the best grip on any surface. Your foot will get ultimate comfort with the Phylon Midsole and Max Air Unit and flywire cables lockdown your feet for control and stability. Synthetic upper is durable and breathable and the basketball shoe is lightweight. With the support, control and traction offered by these shoes will lift your game to new heights. Whether you are new to the sport, or whether you are a regular, using the right footwear for the court is imperative. Indoor ones are designed to have the traction and support you need for playing on smooth, polished wood flooring, whereas the outdoor shoes are designed for the harsher surfaces that are found outside. You need to get a good b-ball sneaker that provides not only the right traction but also support and comfort levels needed to cope with these types of surfaces. Surely a shoe is a shoe I hear you say. Not so, and getting the wrong ones can lead to you finding yourself skidding on the court, or worse falling and getting injured when playing on an outdoor court. Below we take a look at the differences between an indoor and outside shoe and what you should look for when you are looking to get an outdoor shoe. Remember, choosing your footwear is not just about style, it is about functionality. If you do not have the right ones for the surface you are playing on you could injure yourself and you are not going to be doing your game any favors either. Choosing the best high or low top sneaker that will match your playing style and meet your needs for comfort, support and stability is not as difficult as it would seem. You do need to take some things into consideration when you chose your shoes such as personal needs, style of play and your own strengths and weaknesses. Outdoor shoes should have a harder rubber sole than indoor ones would have. This is because they have to cope with the unevenness and different textures of an outside court, where an indoor one is used on a smooth polished wooden surface. The sole has to be tough as it will wear out very fast if is it thin and soft. The tread on the sole which provides the traction is an especially important consideration when selecting your shoes. You will require the right traction to prevent you from slipping and sliding on the surface of the court, ultimately preventing injuries from falling. The tread pattern will differ significantly from indoor ones. They will be larger and will not be easy to manipulate. You will have your own requirements for the amount of support you require in your sneaker. If you suffer from any ankle weakness or have had any previous injuries, you will need one that offers great shock absorption and is very supportive in those areas that need them. Having stability in the ankle area as well as for the vest control and balance you would look at getting a high-top one as this offers better support than a low top one. If however you do not have any injury issues and you want supreme flexibility in your sneaker then you would look to a low-top shoe, you might get less support and stability, but you get the best versatility and flexibility. It all depends on your own playing style and requirements in which one you would look to get. There is also a study that has been carried out on this very subject – click here to read it. For your uppers, you would look to get the most breathable material you can for a sneaker. When playing indoors you are in a controlled environment and it does not get as hot as it can on the outdoor courts. Ventilation in your sneakers should be one of your major considerations when choosing a sneaker. The material used on the sole will always be rubber, preferably a hard rubber to cope with the conditions on an outdoor court for durability. If you tend to wear out a specific part of your sole quickly, such as the heel or the toe area, then select one that has better tread in those specific areas of the sole, that way you will get a lot more use out of your basketball shoes before having to replace them. Ultimately the outside shoes you select should reflect the way you play, it should make you feel comfortable and supported as well as being designed in a style that appeals to you. There are many and distinctive differences between indoor and outdoor basketball shoes. The major differences are in the soles and tread patterns. Another important difference is the materials these basketball sneakers are made from. You need a breathable shoe to use on outside courts. Indoor courts are in controlled environments and do not get as hot as when playing outdoors. You do not want your feet sweating leading your foot sliding inside the shoe. Outdoor basketball shoes are designed to cope with the uneven texture of an outdoor court. They generally have thicker and more durable soles. They should also have a larger tread pattern to prevent skidding on the outdoor surfaces. The sole and large tread should not be easy to bend or manipulate. This type of sole and tread will give you the best grip and allow you to perform well on outdoor courts. Buying an indoor basketball shoe might lead to you needing to replace it a lot sooner than if you bought a good outdoor shoe as the tread and sole will wear out faster. Indoor sneakers are designed to be used on smooth, polished wooden surfaces and their soles and tread are a lot thinner and finer than outdoor shoes. The most comfortable outdoor basketball shoe for you will depend entirely on what your own personal needs and requirements are. It will depend on if you are carrying an injury, if you have weak ankles or other foot issues and, of course, your playing style itself will determine the shoe you chose. Comfort is also provided by thicker soles, as they absorb the impact of your foot on the hard surfaces of the outside courts. A thicker midsole and large treads to ensure you get the best traction. A lot of the sneakers on the market offer specific comfort zones under the heels and forefoot of the shoe. Nike has the Nike Zoom Units and others have their own version of this. Ultimately you will determine what shoe has the highest level of comfort that suits your requirements. Try on a few different styles and brands of shoes, read online reviews of the shoes you are considering, taking into consideration the comfort levels offered before making your decision, and you are sure to get the best one. So what are the major differences between indoor and outdoor basketball shoes? You may think to buy one pair and using it for both makes more sense, but there are some really important differences and buying an indoor shoe to use outdoors could cost you in the long run. 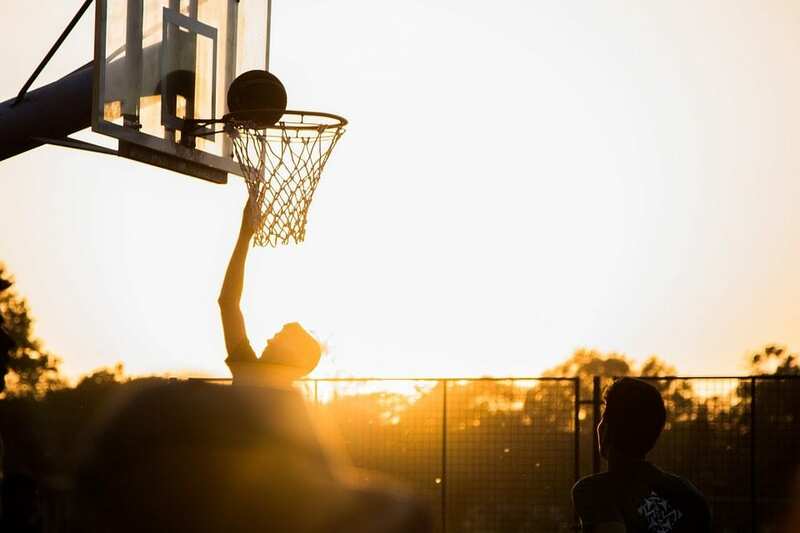 We go through some of the differences here to help you understand why buying an outside shoe is wise if you are going to be playing on courts outside. Although outdoor and indoor basketball shoes may look the same, the way they are put together differ quite substantially and one important way that they differ is in the material that is used in their construction. When you play indoors, you are playing in a controlled environment. This means you do not need ventilation as much as an outdoor shoe does. When playing outside it can get very hot, so a breathable material such as mesh is preferable to allow airflow through. The sole and traction on the shoe also differ widely between indoor and outdoor shoes. Outdoor basketball sneakers need to have rubber soles that are thicker than your indoor sneakers. 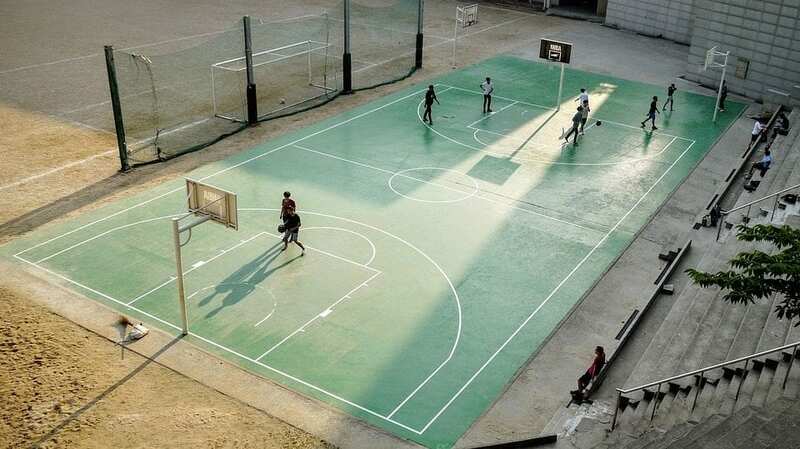 This is because you will be playing on harder and rougher courts than on an indoor court which is made from polished wood. The thickness of the rubber is not only for the traction and grip but also so that the shoe can cushion the shock when playing on outside courts which are usually very hard surfaces. These shoes also tend to be a little heavier due to the thicker sole, so they will require a little more support for the player and are some are made with high tops to help support your ankles more than indoor shoes. The traction of your sneakers is also important for the way you move around the court. The grooves of your traction on your soles for shoes should be a lot larger and deeper than your indoor sneakers. If you are somebody that likes to cut in and out and move fast and furious around the court, you will need a flexible and supportive shoe. Wearing the best shoes here is imperative or you might not get the grip you need and slip on the gravel or small rocks found on outside surfaces and injure yourself. So although indoor and outdoor soles may be made from the same material, it is the amount and type of traction that makes all the difference. The difference in the thickness of the midsole between the sneakers is the best. Due to the amount of traction that you require in order to play on outside courts, outdoor shoes have thicker soles with deeper and larger grooves. The midsole of indoor shoes are often quite thin as they do not have to cushion the foot as much as an outdoor shoe should. Outdoor sneakers need a heavier and thicker midsole to enable the shoe to have the shock absorption you need when playing on the hard, unforgiving surfaces of an outside court. If you want a lighter shoe, there are some outdoor sneakers on the market that are a little lighter, but all will have a thicker midsole and will not be as lightweight as an indoor shoe. So you can see that playing outdoor basketball using an indoor shoe will do nothing for your game and could lead to injury if you try due to the difference in traction and sole thickness. Outdoor shoes are designed taking the rough, harsh terrain you will be playing on into account. Indoor sneakers are only meant to be used on smooth, polished wood surfaces. The difference may not seem that large, however, they make a major difference to the way you will be able to play. Using the correct shoes will also help prevent injury and in the long run save you money. When considering the material used in these sports shoes you will look for a material that is breathable and flexible. It should allow your foot to get good airflow and not allow it to sweat excessively while playing. This will differ from indoor shoes as when playing outside you are not in a controlled environment, and it can get very hot. Make sure that your shoe is made from a lightweight, durable and breathable material such as mesh or leather. TPU plastic is also a great material as it will last longer. If you do go for other materials, make sure that there is an overlay on the toe and heel, these are the highest abrasion areas on your shoe, to ensure the longevity of your shoe. The style of the shoe is a personal choice. If you have any injury problems and need to wear a brace on your leg or ankle, then using a shoe that has a low top would be best. 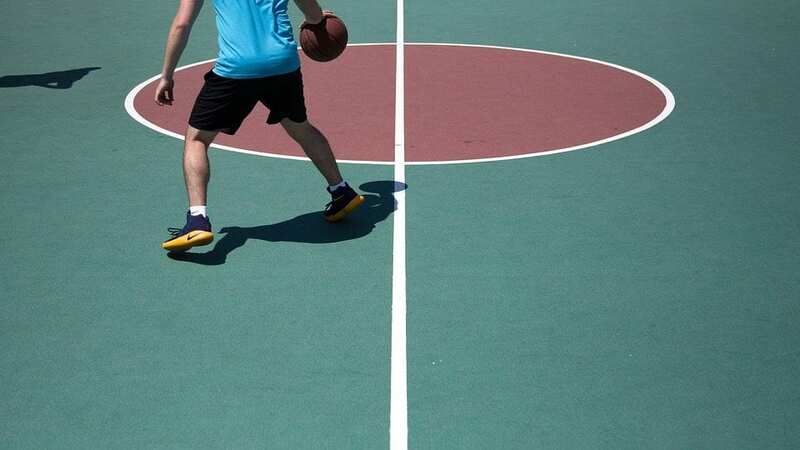 If however, you are looking for the shoe to give you the support you need in order not to roll your ankle when playing on the, sometimes, uneven surfaces of outside courts, then you would go for a high top style shoe – click here for the study comparison. 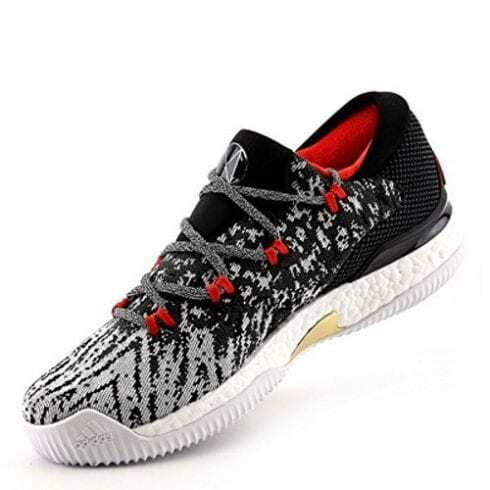 If you are a person that likes to run a lot on the court and moves fast, weaving and cutting on the court, then you will look for a very flexible shoe that allows you to move freely. Most of these types of basketball shoes are a little heavier than indoor shoes due to the thickness of the sole, however, there are some on the market that are a lot lighter than others. The rubber compound that is used on outside basketball shoes are made to cope with the harsh, hard surfaces of the outside courts. Outside courts also often have debris on the surfaces so the rubber soles have to be able to denser and with high abrasion in order to be effective and also to give you a good lifespan. Using the lighter compounds used in indoor shoes and you will end up spending a lot more money replacing your sneakers regularly than spending money on getting a great pair of outdoor bball shoes that are built for the purpose. The traction on a shoe will differ significantly from that of an indoor shoe. 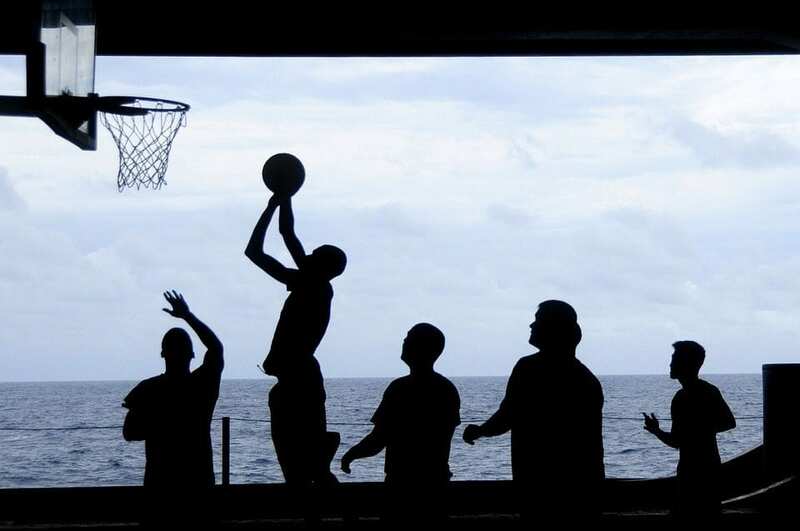 Indoor basketball is played on smooth, polished surfaces and requires a different type of grip on outdoor shoes. The traction on the sneakers are much larger than indoor shoes and the grooves on the sole are a lot deeper. Indoor shoes have a finer traction which is non-slip to avoid slipping on the smooth surfaces of the court. The traction on outdoor shoes should extend to the outsole as well to help with wear and tear on the rougher surfaces. Having the best traction is of vital importance when playing. You need to be able to move around the court quickly without fear of skidding or falling. The sole of the shoe is also thicker to counter the harder and harsher surfaces that you encounter on outside bball courts. An outdoor basketball shoe will be slightly heavier than your indoor shoes. The reason for this is the shoe has to cushion your foot against the hard surfaces that you play on when playing outdoors. The midsole of the shoes are a lot thicker than your indoor sneakers and this is why they are heavier. If you need a lighter shoe with more flexibility there are some on the market that are a little lighter than the average shoe. However, you must remember that the heaviness of the shoe is what protects your foot when playing on the types of outside surfaces that can contain rough surfaces with gravel or small stones on them, the weight of the shoe is what keeps your foot stable on the court. When you are looking to take to the courts, you need the best shoe to ensure that you make an impression. Thicker soles, breathable material support, and comfort, as well as large traction grooves, are just some of the qualities you look for in an outdoor basketball shoe and we have reviewed some of the best on the market for 2019 for your consideration. Choosing the best shoe will take your game to new heights. It should be no surprise that we have selected a Nike as our best choice for basketball footwear. The Nike Men’s Lebron Soldier IX truly deserves this accolade if you look at the best features you get with this basketball shoe. Lunarlon cushioning to gives you the best shock absorption and utmost comfort from the shoe as you move seamlessly around the court. The shoe is quite lightweight for a bball shoe. The full inner sleeve will wrap around your foot and the wedge carrier foam will offer you ankle support and limit pronation. The shoe is extremely breathable allowing your foot to stay cool and dry while you play. The synthetic mesh and nylon upper is incredibly flexible and moves with your foot to allow you to get the best range of motion. The lockdown of the shoe one of the best. The heel strap is attached to the heel counter and so forms one solid piece to lend even more support to the ankle and foot. The forefoot strap will lock the midfoot and forefoot into the shoe to prevent slippage. It also has a good rubber sole that has the best traction so grip on those harsh outside surfaces is no problem for this great shoe. The Nike Men’s Lebron XIII has it all, from comfort to traction you will not find a better outdoor basketball shoe with the features that you get with this great shoe. The features offered on this superb outdoor basketball shoe make it our premium choice. The upper of this shoe is made from a mesh material. It is not only breathable but also very flexible allowing your foot the best range of motion and moving with your foot to keep it supported and comfortable. The airflow that is allowed through the material ensures your foot is kept cool and dry no matter how hot a day it is outside.The rubber sole on the Lebron XIII is exceptionally responsive and flexible and the Zoom L.E.A.P. system enhances these aspects to propel you higher and get your round the court effortlessly as you blast past your opponents. The four independent Zoom Air Units along with the low-profile of the shoe add a level of cushioning that is unsurpassed. The two Zoom Air units under the heel are 13mm thick and provide superb comfort and support. The Flywire cables which extend from the midfoot wrap around the heel and lock it down into the footbed to provide superb stability. 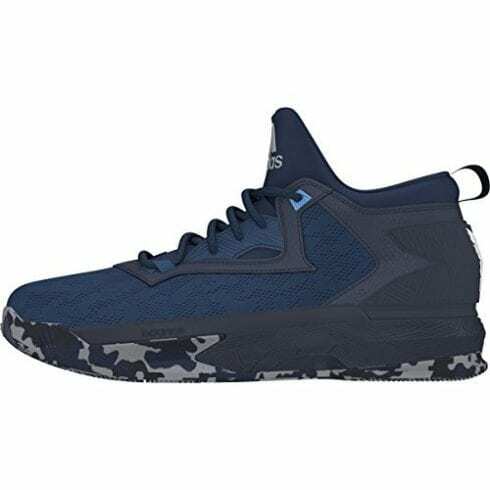 If you are looking for an outdoor basketball shoe that offers you superb features from its upper to the sole and traction and at a fraction of the cost of some other shoes, you found it in the Under Armour Men’s Ua Clutchfit Drive II. UA ClutchFit Technology makes this outdoor shoe incredibly lightweight to allow you to move effortlessly around the court, it is also extremely supportive. The 3D molded tongue surrounds your foot and locks it into the shoe to give you excellent stability and the charged cushioning midsole is both responsive and shock absorbing. The traction of the shoe is supreme with a multi-directional herringbone tread pattern outsole which offers complete control and comfort. The rubber sole will grip any surface ensuring that you do not skid or slide when making your moves on court. Comfort, support, traction, and style are all wrapped up one of the best shoes that are extremely well priced for the features on offer. 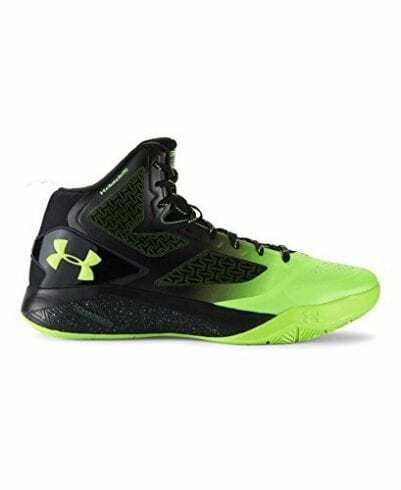 We have selected the Under Armour Men’s Ua Clutchfit Drive II basketball shoe as our best value choice outdoor basketball shoe for these reasons. We hope you enjoyed our article on "The 11 Best Outdoor Basketball Shoes", if so, please share and rate it. Yes guys! You’re right, the Lebron Soldier IX is the best all rounder. Happy to have gotten a pair whilst they were still in my size. Subscribed!